HERMES SUPPORT NATIONAL SKIN CANCER CHARITY ‘SKCIN’, WITH THE NATIONWIDE DELIVERY OF LIFE-SAVING RESOURCES. National melanoma and skin cancer charity, Skcin are delighted to announce the charitable support of home delivery company Hermes UK. 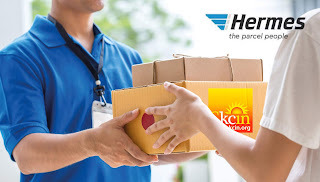 Handling over 300 million parcels each year on behalf of some of the UK’s largest online retailers, Hermes are giving their kind support to Skcin by delivering the charity’s life-saving awareness and educational resources on a complimentary basis, nationwide. Skcin’s educational resources span 4 national accreditation programmes, supporting; primary schools, pre-schools, workplaces, the hair, health and beauty industry, as well as high demand from hospitals, dermatology departments, GP practices, health centres, supportive charities, and individuals raising awareness - right across the UK. Marie Tudor, Business Development Manager at Skcin comments: “As the UK’s only melanoma and skin cancer charity, dedicated to prevention and early detection, Skcin produce an extensive library of resources to support us in meeting these key objectives. Education is key to influencing behaviours to prevent around 86% of all melanoma cases and by increasing our knowledge of how to detect skin cancer in its early stages, we can dramatically improve prognosis and save lives.